The Coast of Folly is a 1925 American silent drama film directed by Allan Dwan and starring Gloria Swanson in a dual role as mother and daughter. Richard Arlen had a small part in the film but his scenes were cut before release. The film was based on the novel of the same name by Coningsby William Dawson, and adapted for the screen by James Ashmore Creelman. 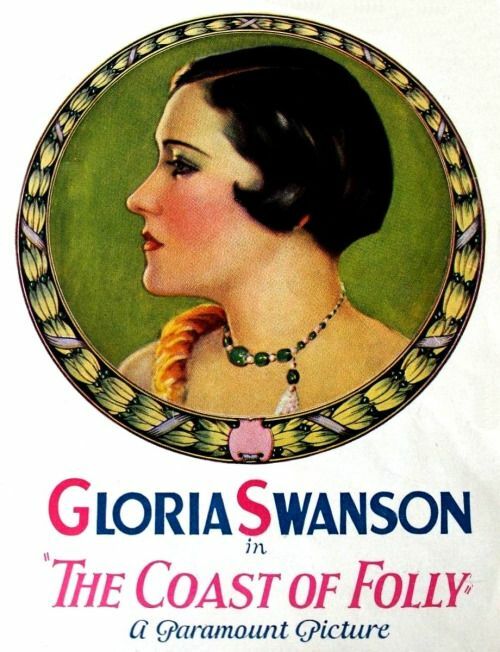 The film is one of eight films that Swanson and Dwan worked on together (four of which are now lost). The Coast of Folly is now presumed lost though stills exist. ^ Shearer, Stephen Michael (2013). Gloria Swanson: The Ultimate Star. Macmillan. p. 1567. ISBN 1-250-01366-6. ^ Welsch, Tricia (2013). Gloria Swanson: Ready for Her Close-Up. Univ. Press of Mississippi. p. 56. ISBN 1-617-03749-4.